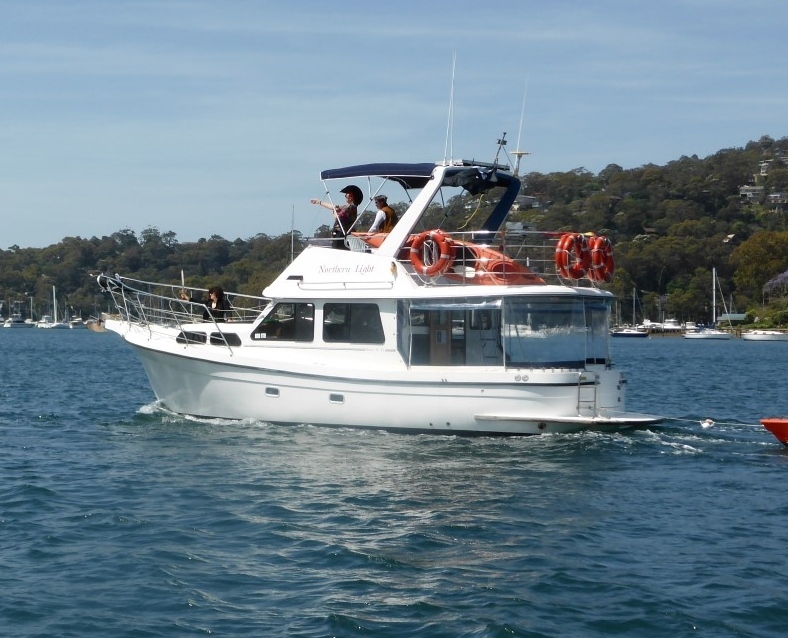 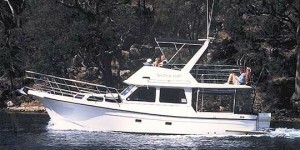 The Resort 35 is a very practical, and comfortable cruiser which is perfect for cruising Pittwater and around into the Hawkesbury River. 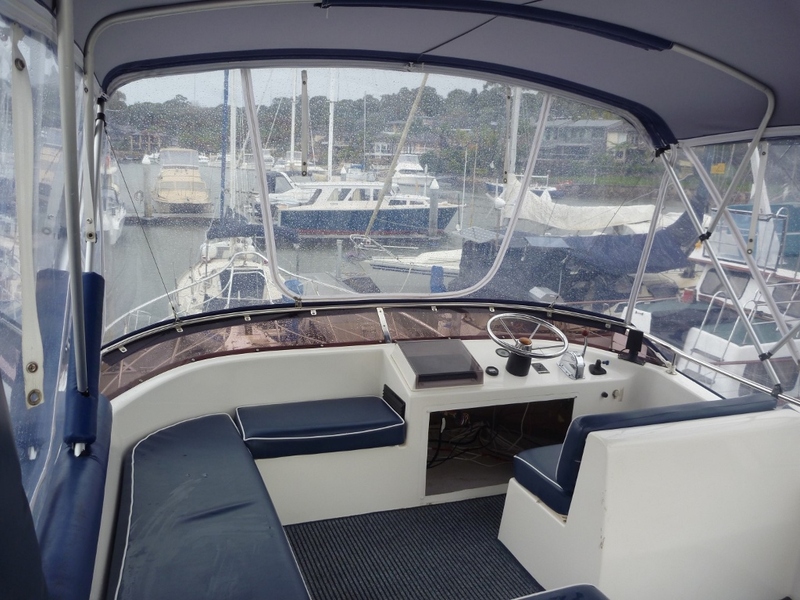 This boat is licenced for 12 by day, and 10 overnight – it has 4 singles in the forward cabin, a private double behind, with another double in the saloon, with yet another double below the saloon. 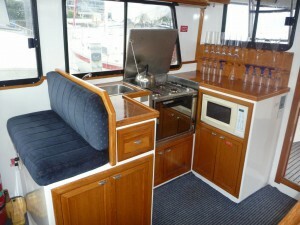 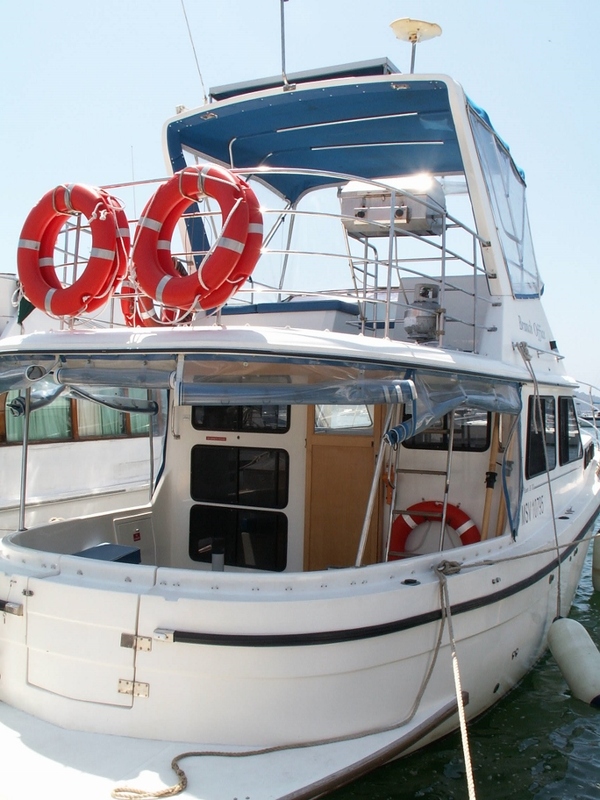 They feature: TV/DVD, CD, BBQ, electric anchor winch, fridge, freezer, 2 bathrooms, walk through transom with swim platform, 4 burner gas stove, microwave oven, extended flybridge which cover the lower cockpit for all weather protection. The lower outdoor area has drop down clears for use in bad weather. Resort 35 std: Older version, rounded hull, no microwave and other features. 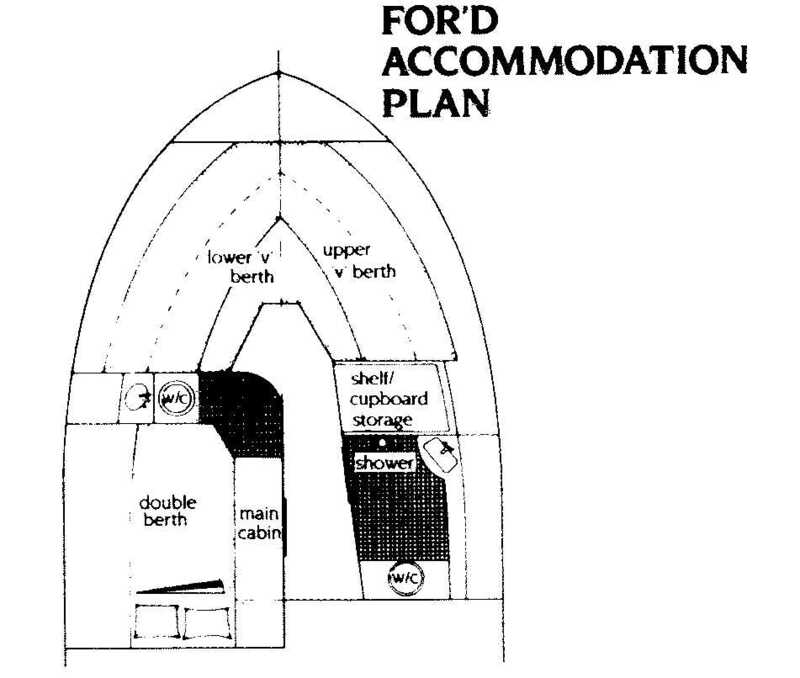 Same layout.